through capital support and resource integration. Panorama Medicine, based at Philadelphia, uses genomics and computing to accelerate drug discovery, specifically focusing on disease caused by RNA mis-splicing. Founded in 2015, Archiwave is a fabless semiconductor company providing highly integrated silicon core IC solutions and silicon front ends for microwave, mmW markets. Founded in 2015, DFocus has provided innovative real estate technology services to its customers through the Internet of Things, with more than 70 Fortune 500 customers. Founded in 2015, Majorsec is a new generation of HIPS (Host-based Intrusion Prevention Systme) provider. Majorsec is the first domestic company focusing on Enterprise Host Saftey products, which have successfully served more than 100 large-scales users from government and enterpirse. Founded in Dec 2016 , Reo Tech mainly provided a series of products and a set of solutions in the fields of electronic countermeasures, complex electromagnetic environment system construction, electronic warfare equipment simulation training. DBSEC founded in 2009, focusing on data security, is currently the only company in China that can provide database security products and solutions. Apexigen is a clinical-stage biopharmaceutical company focusing on the discovery and development of innovative antibody-based therapeutics for the treatment of cancer with a focus on immuno-oncology. The company’s pipeline of immuno-oncology therapeutic candidates is led by the APX005M program, which is currently in clinical development. OnKure Inc. is a biopharmaceutical company focused on the discovery and development of targeted small molecule drugs to improve the outcomes of patients afflicted with cancer. OnKure’s most advanced programs target Class-1 histone deacetylase (HDAC) enzymes as well as HDAC6. EcoFlow is a tech-driven energy strorage company founded in June 2017. EcoFlow dedicates to develop a new generation mobile energy storage products used in consumer, household and industry fields, creating a global energy storage brand. Founded in Oct. 2016, Abax sensing mainly concentrates on the chip-level solution for Lidar in automotive application. The innovative chip-level solution, which will reduce the cost of Lidar significantly, is recognized by TIER1 core vendors. 12 Sigma Technologies was founded in April 2015. The company is one of the first companies to introduce artificial intelligent and deep learning into modern medical image diagnosis and medical data analysis. Founded in 2014, IMI is the world's leading supplier in natural man-machine InterActive Corp and AR field camera core equipment. IMI is the second company providing full range of technology like PrimeSense, which was acquired by Apple. Founded in 2014, Rokae Robotics focuses on small load 6 axis industrial robot production with R&D, produce and sale abilities. Its control precision has obtained recognition by a number of automotive and consumer electronics manufacturers. Founded in December 2016, Mech-Mind is an intelligent industrial robot provider, aiming to equip traditional robot with machine vision, environmental perception and intelligent decision-making capabilities. Founded in 1997, Dewei focuses on Bus Air Suspension System & Electronic motor controller system production with R&D, produce and sale abilities.Its production quality has obtained recognition by a number of automotive and new vehicle manufacturers. Founded in 2014, BooCax provides robot autonomous localization and navigation (SLAM) solutions, leading the domestic commercial robot market share . Founded in March 2016, CalmCar has developed a vision sensing system for autodrive. It is the only company in China that could produce small scale intelligent environment sensing equipment. CalmCar has cooperated with OEMs and TIER1 core vendors. Founded in April 2014, 3dnest is a large scene 3D reconstruction technology and solutions provider, the only one can provide integrated equipment and cloud services full-service. Founded in March 2014, Uniz is the fastest printing 3D printer manufacturer in the world. Founded in July 2014, Knowbox is providing K12 learning products that inspire the students via minimal granularity content, high frequency interaction and multiple stimuli. Knowbox is the leading practitioner of adaptive personalized education in china. Founded in 2012, Zhztech was high-tech enterprise which engaged in R&D and manufacturing of unmanned helicopters. Zhztech is the key unit of national military and civilian integration. At the same time, Zhztech is the only private enterprise in the first class general unit since the founding of China. Founded in 2013, Rinfo is a high-tech enterprises. Engaged in R&D,production and sales of satellite inspection equipment and related microwave products. Its satellite inspection equipment breaks the monopoly of European companies and gains more than 30% of the domestic market share. Founded in 2007, Tianchengyibang engaged in R&D and sales of reinforcement computer. In the domestic UAV Ground Station reinforcement computer field occupies more than half of the share. It is also the major supplier of ground station computers for a number of key UAVs. Founded in 2003, Esafenet stands a leading position as a supplier in data security, network security and security service system industry. Esafenet was acquired by NSFocus (Stock Code: 300369) in 2014. Founded in 2002, OptimumNanowas is one of the largest Lithium Battery manufacturer in China, the chairman of the new energy automotive industry innovation alliance. OptimumNano was the top 20 Shen Zhen enterprises in 2016, with nearly ten billion sale revenue. In 2016,OptimumNano was aquired by J&R Optimum Energy (Stock Code: 300116). Founded in 2016, Hunan zhongli is top three wet diaphragm suppliers in the new energy vehicle power battery field. Hunan Lithium was acquired by CYG group (Stock Code: 600525) in September 2017. Founded in 2002, Sinuo is a professional engaged in lithium-ion battery anode material high-tech company. In 2016, Sinuo was ranked top 5 among the power battery anode material enterprises. Founded in April 2012, YueBoo is the leading supplier in domestic electric bus and commercial vehicle powertrain industry. YueBoo is the number one in the domestic commercial vehicle EMT market share. Founded in 2003, Sanbo Brain Hospital is the leader of private hospitals in neurosurgery. The amount, difficulty and success rate of neurosurgery operation are the highest all cross China. Also it is the only private hospital as teaching affiliated hospital. Founded in Jul 2009, Venus MedTech Inc. is the leader in heart valve minimally invasive treatment with the first NMPA-approved TAVI in China, aiming to be a structural heart disease platform. Founded in 2003, Mitralign is the only company in the world that has commercial devices for both mitral and tricuspid minimally invasive repairment. It is the minimally invasive valve device company with the largest patient number, longest follow-up, best outcomes, and fastest progress in clinical trials for tricuspid minimally-invasive devices. Founded in 2007, MicuRx is a clinical-stage biopharmaceutical company discovering and developing innovative antibiotics for drug-resistant bacterial infections. The company has built a global leading pipeline which is closet to commercial stage. Founded in September 2016, Uniceutiq focuses on the development of suspension drugs for pediatric use and is the only company in China that dedicated in the development of such drugs. Founded in 2015, Changxi is focusing on research, development and commercialization of dry powder inhaler products, with the most experienced team and extensive pipeline. Founded in 2015, LoneStar is focusing on diatom gel for the development of heart failure treatment, and the only company dedicated to the development of such equipment. Found in February 2014, 51 DH is B2B service platform targeting the small and medium-sized township market. 51 DH is the leading company in the consumer goods field of East China region. Founded in 2012, Hopeready is a professional engaged in lithium-ion battery cathode material high-tech company. 20,000 tons lithium iron phosphate production capacity makes Hopeready the largest cathode material manufacturer in the midwest of China. Founded in 2008, Greennovo is the largest professional dust treatment and recycling company in world. In 2016, Greennovo completed its IPO (Stock Code: 836446) on the new three board listed. Founded in September 2008, Yugreat is focusing on spray rapid solidification of liquid rubber which is the new waterproof material. Founded in 2006, Paite is environmental protection company, focusing on precious metal catalyst collection and re-cycle. Founded in May 2002, Dynemic English is a well-known franchise education brand for 6-14 year old children's English with unic learning and training methods. 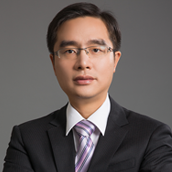 Quan Li has fourteen years of experience in venture capital. Prior to Delian, he worked in industrial field for ingfive years and government for three years respectively. Li graduated from Xidian University with the major of engineering with bachelor's degree. 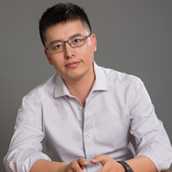 Yangzhi Jiang has been working in venture capital for ten years with accounting and financial background. He specializes in high-end manufacturing and healthcare, and has invested Venus MedTech, MicuRx, Changxi, OptimumNano, Knowbox, IMI and many others. Jiang received his MBA degree from Peking University. 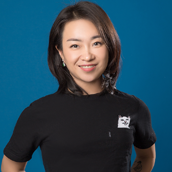 Jing Jia has eight years venture capital experience focusing on cutting-edge technologies, has invest 12 Sigma Technologies,Knowbox, Mech-Mind, YueBoo,DBSEC,Dfocus and many others. 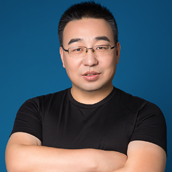 Jia served in Genesis Capital, Aisino, accumulating a wealth of engineering management experience. 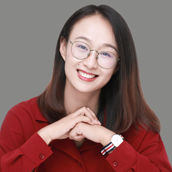 Jia earned her bachelor degree and master degree from Tsinghua University with the major of automation , then received MBA degree from Hong Kong University Science & Technology. Riley Xiao has ten years venture capital experience, concentrating on cutting-edge technologies, AI, robotics, big data field. Prior to Delian Capital, he worked in Hony Capital and Shanghai International Group of emerging industry fund. Riley has invested Dfocus,IMI, Uniz, Mech-Mind, BooCax, 3dnest and many others. Riley earned his bachelor degree from Jilin University, and received master degree in automotive engineering from Tsinghua University. Xuesong Fan has eight years experience in venture capital, concentrating on the field of high-end manufacturing, equipment automation. Fan worked in R & D department of Space Institute for six years. Fan has invest Zhztech,Rokae,Tianchengyibang,Rinfon,CalmCar. Fan got his bachelor degree from Harbin Engineering University, master degree from Tianjin University with the major of mechanical engineering, and received MBA degree from Tsinghua University, School of economics and management. 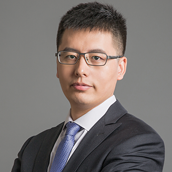 Guobao Zhao has six years experience in venture capital, in charge of investments in the healthcare sector. Before joined in Delian Capital, he worked at Entremed (NSDAQ:ENMD) as a business development and R&D manager. 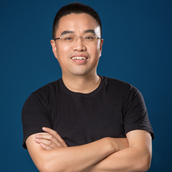 Prior to Entremed, Zhao worked in PPD as a research scientist. Zhao has invest MicuRx,Changxi, Uniceutiq, Onkure and many others. 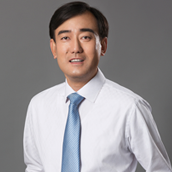 Zhao got his bachelor degree of Pharmacy from Huazhong University of Science and Technology, and received his master degree in AMMI and a MBA from China Agricultural University. 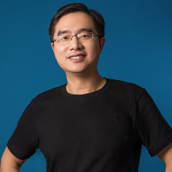 Kevin Liu has ten years experience in venture capital, focusing on AI, big data, new energy vehicles, intelligent automotive field. Kevin worked in the Ministry of Transportation Highway Research Institute, Germany Schueco international group. Kevin has invest OptimumNano, Hunan zhongli,Sinuo,YueBoo,Hopeready, Esafenet,CalmCar. Kevin graduated from Changsha University of Science with engineering bachelor degree, then received MBA degree from Central University of Finance and Economics. 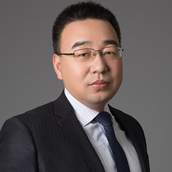 Hong Fang has five years experience in venture investment, revolving about high-end manufacturing field. Prior to Delian, Fang worked in the National Institute of Metrology,China, Pingan Bank and a military institute, accumulating five years scientific research experience in radio frequency microwave field for five years and two years experience in military strategy and weapon system. Fang has invest Abax Sensing、Reo Tech、Archiwave. Fang received his master degree of finance from Peking University, and Ph. D degree from Beijing Jiaotong University. Emma Zhang has four years experience in venture capital specializing in the field of high-end manufacturing. Emma has participated in many investment projects, such as CalmCar and so on. Emma received her bachelor’s degree from Beijing Institute of Technology and received her master of economics from National University of Singapore. 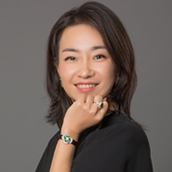 Xinying Chen has two years experience in equity investment, covering US and China healthcare market. Chen received her bachelor degree from Nanjing Tech University and master degree from Nanjing University with the major of Biochemistry, and received her Ph.D degree from the University of Hong Kong. Steven Yuan has three years experience in venture investment specializing in TMT, AI, high-end manufacturing and other fields. Steven has participated in many investment projects, such as 12 Sigma Technologies,Mech-Mind,EcoFlow and so on. Steven worked in a military institute before joining Delian. Steven received his master degree from Xidian University. 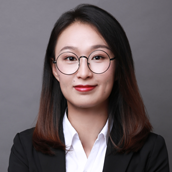 Bin Hu has three years experience in equity investment, covering US and China healthcare market, and previously worked for WuXi Apptec and Tsinghua Technology & Innovation Holdings (THTI). Hu received his bachelor degree from Beijing Normal University and master from Peking University Health Science Center with the major of Chemical Biology. 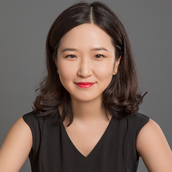 Yanli Tang has six years experience in venture capital, five years experience in IPO audit, mainly responsible for the risk control work of the fund. Piror to Delian, Tang worked in a well-known investment company and an accounting firm. 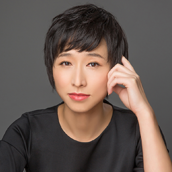 Tang holds the qualification of CPA and law in China, received two bachelor degrees from Southwestern University with the majors of economics and law respectively, and received her master degree from Renmin University of China. 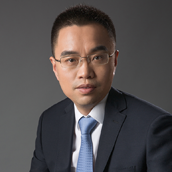 Wang Hong has five years legal working experience in law firms, mainly responsible for the risk control work of the fund. 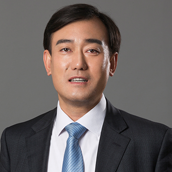 Prior to Delian Capital, Wang worked in a well-known law firm. Wang holds the Legal Profession Qualification in China, received two bachelor degrees from Xiamen University with majors of Law and Economics respectively, and received her master degree from University of International Business and Economics of China. 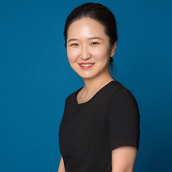 Huimin Jiang has nine years experience in the venture capital, mainly responsible for post-investment operations, investor relations and platform management of the fund. Jiang worked in a large comprehensive industrial group and a well-known accounting firm. Jiang received her master degree in finance from Liz City University, UK. 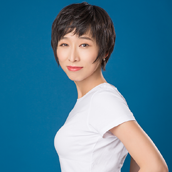 Daisy Huang has five years experience in branding and media relations of venture capital industry, mainly responsible for marketing strategy, public relations and portfolio company marketing support. Prior to Delian, Daisy worked in the Zero2ipo, CGP Investment.